Over 40 wines from the United State and from around the world will be available and 20 plus specialty vendors will be in attendance. 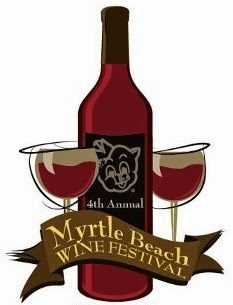 Come enjoy the the South Carolina Coast, great food and live music at one of the best festivals in Myrtle Beach! A large variety of craft beers will also be available for those interested. The Market Common in Myrtle Beach offers a unique lifestyle experience for all visitors with a true urban village community. Their mix of restaurants, specialty shops, salons and trendy boutiques, all set outdoors, make it a great time to get errand done and find special offers. Make your plans to Carolina Coastal living - reserve your vacation rental or beach accommodation and come enjoy the beach life!